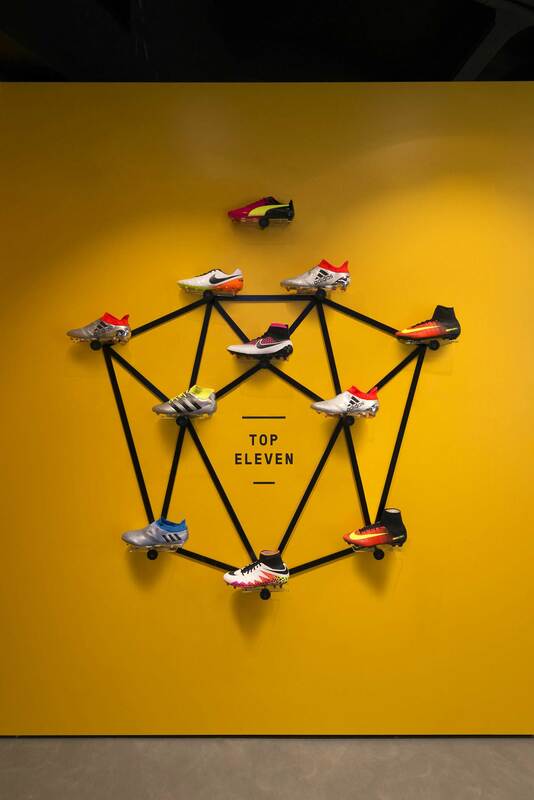 "Total Football" is the label given to an influential tactical theory of football in which any outfield player can take over the role of any other player in a team. 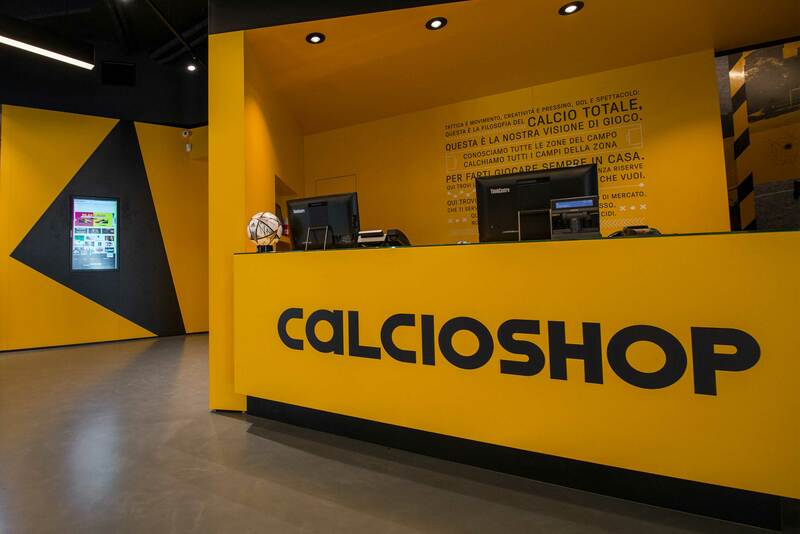 It is also the retail concept around which we have built the retail experience and the consumer journey for the new flagship store Calcioshop, Italian number one online dealer for football apparel and equipment. 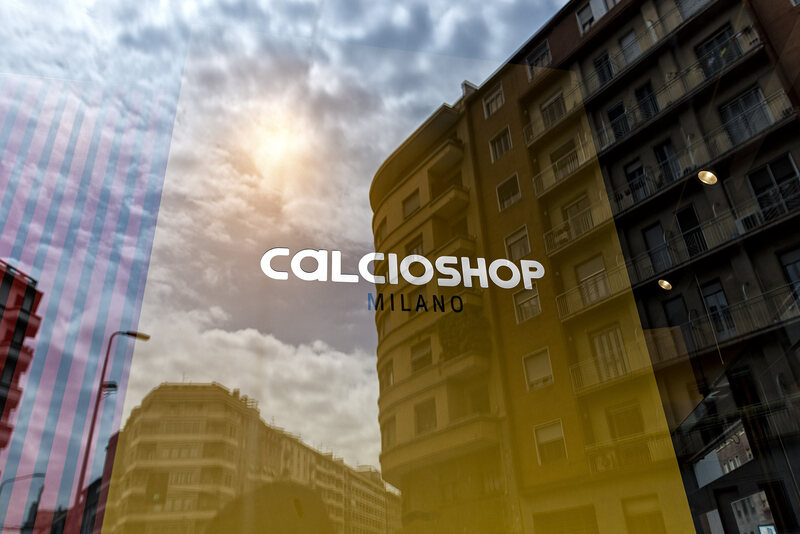 This year Calcioshop's property has decided to inaugurate a flagship store in Milan, to give the immense web portal a physical dimension. 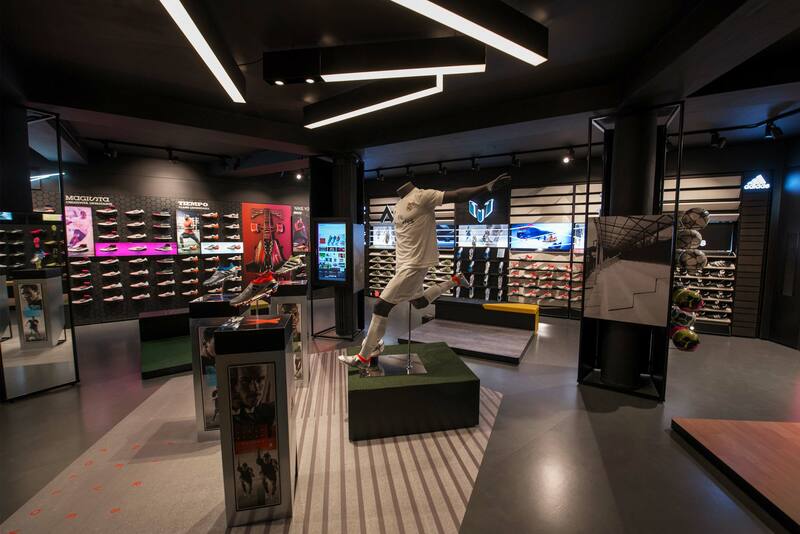 Its strengths as an e-commerce had to be translated into a clear retail proposition that could speak about the store’s multi brand offer, with Nike, Adidas and Puma as the main heroes and of the variety of targets, from amateurs to professional players, to entire teams. The idea of “total football” became crucial in the developing project, focusing in particular on its sense of enclosure and versatility. Total Football stands for the awareness that football lovers live football always and everywhere, that every surface is playable, every role is fundamental, every player deserves the best equipment. 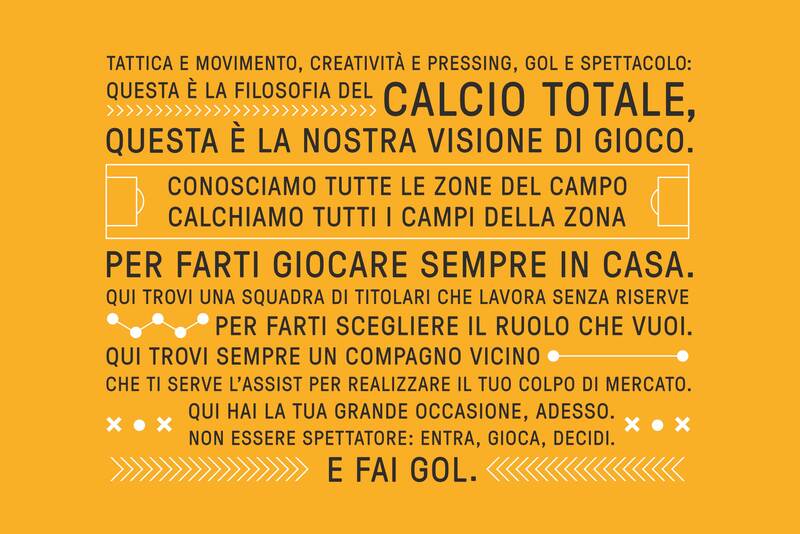 There’s no staff at Calcioshop, but there’s a team whose game is to serve every client the best way. In collaboration with the architectural firm LAMAplus we’ve developed a three levels store evolving around a unitary path crossing them all. 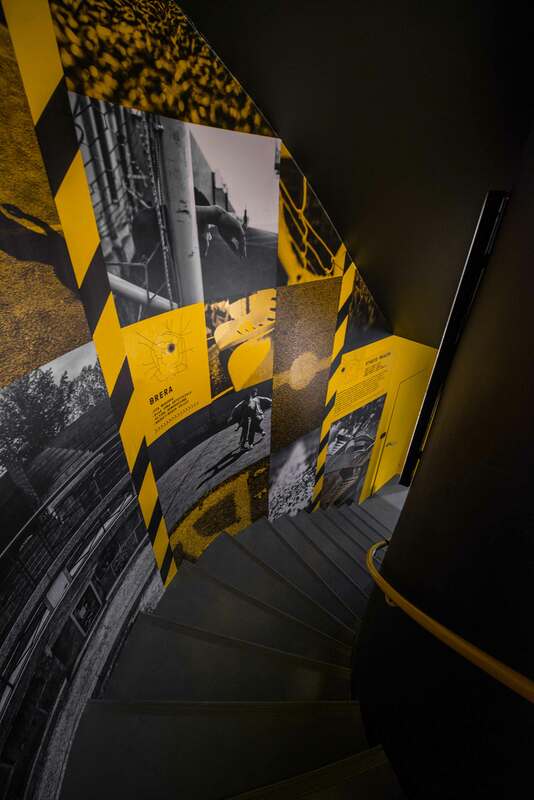 Visually, the key element is a bright yellow colour interacting with every element of the set up, connecting walls, stairs, windows, furniture, displays and graphic panels and adding energy and dynamism to the overall look. 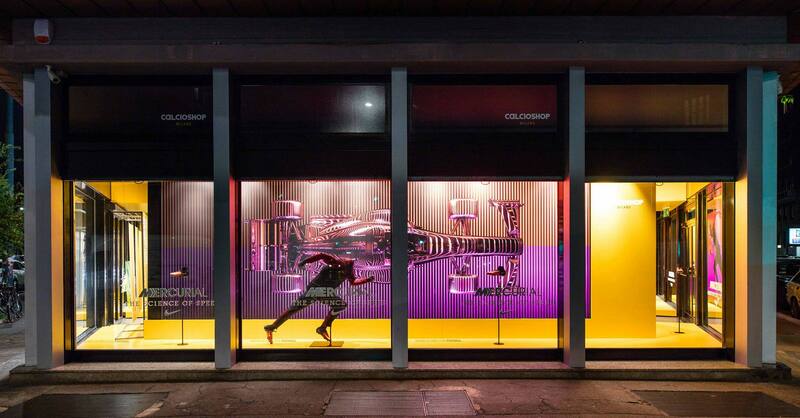 The colour continuity connects the inside with the street through a long row of windows while the panoramic terrace offers a unique point of view for events, activities and brand activations. We shot for the goal and we scored.